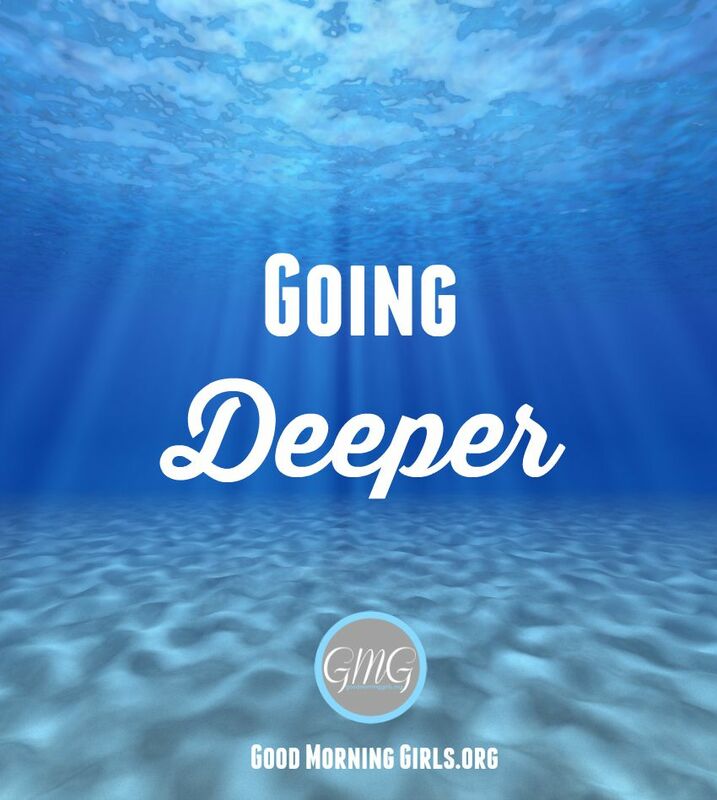 Thank you for your warm response to this new addition to GMG – “Going Deeper”. Today we’re looking at writings – based on Acts 6-10 – from John Piper, Charles Spurgeon, Lysa Terkeurst, Our Daily Bread and InterVarsity Press. To read more from any of these resources — click the links and go to the writings of the author. The Word is central to the church’s growth–so central that Satan will use a congregation’s expectations and traditions (often innocent in themselves) to distract ministers from what is required for effective proclamation of the Word. In the midst of great advance, the Jerusalem church faced the same problem. Having weathered the threat, the church returns to its normal condition: growth. So integral to growth is the Word of God, the message of salvation, that Luke uses personification, saying literally, “The word of God grew” (see 12:24; 19:20). Do you see how death is stripped of its power here and made the servant of God’s servant? It raises its ugly head and threatens to take away from us all the pleasures of bright spring mornings and buds on the trees and warmth on the skin and the colors of fall and the stars in the night sky, but instead it opens the window of heaven and reveals the glory of God. It threatens to take away our most precious relationships, but instead it shows Jesus standing to receive us. I don’t mean that every believer will get the same vision of glory and of Jesus that Stephen got. But I do mean that this is the way the Holy Spirit comforts us when we are dying, and robs death of its power. One way or another he makes death a window to the glory of God and to Jesus. And for those who love Jesus more than anyone and long for the glory of God more than anything the sting of death is gone and the power of death is broken. Yet Acts 9:1-9 records the story of Saul’s blinding encounter with Jesus on the road to Damascus. Within a few days of that life-changing event, Saul was preaching in the synagogues of Damascus that Jesus was the Son of God, to the astonishment of all who heard him (vv.20-21). “He went about doing good.” From this description it is evident that he did good personally. The evangelists constantly tell us that he touched the leper with his own finger, that he anointed the eyes of the blind, and that in cases where he was asked to speak the word only at a distance, he did not usually comply, but went himself to the sick bed, and there personally wrought the cure. A lesson to us, if we would do good, to do it ourselves. Our Lord’s mode of doing good sets forth his incessant activity! He did not only the good which came close to hand, but he “went about” on his errands of mercy. He was never deterred by danger or difficulty. He sought out the objects of his gracious intentions. So must we. **Chime In** Do you have a resource or something that you have learned this week from going deeper? Share it with us in the comments! *Please Note: I am not endorsing every written work of the authors I share or the links shared in the comments below. Please use discernment as you click around. ? I need your prayers I have to go Friday 18th for another mammogram and a ultra sound on my right breast. They said they saw something not sure what. My mom died at age 59 with breast cancer and my older sister died at age 44 with breast cancer. I know Gods in control and I’m trusting in Him. I pray to you lord for protection….. love and peace for our sister. Saying a prayer for you now Coni – that God would give you peace tonight as you rest and tomorrow as you go to your appointment – and also that it would be nothing serious. Whenever I get tripped up, I find that his writings tend to clarify things best for me over other commentators. I also use biblehub.com. Thank you for sharing this resource Mary – I have not read his writings! I’m excited to check him out!! My go to going deeper resources are john pipers http://www.desiringgod.com website and podcasts! Pastor Pancho Juarez of calvary chapel monte bello church has great sermons on each chapter of the book of Acts.